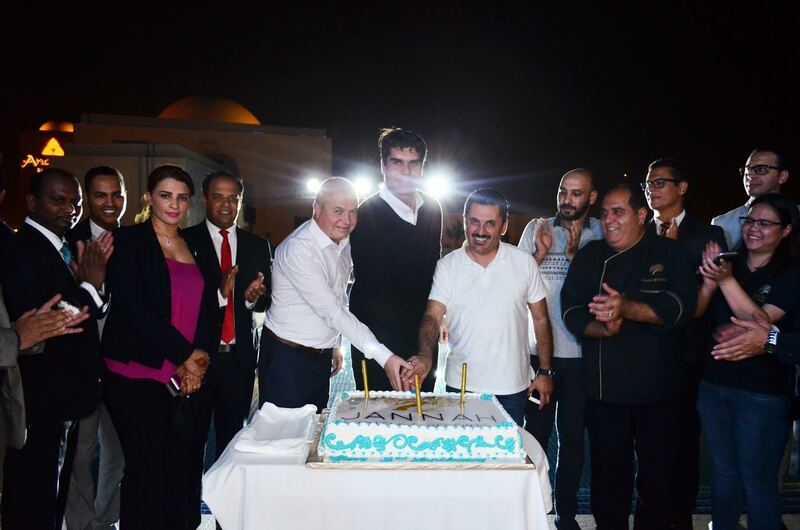 Abu Dhabi, United Arab Emirates: September marks the third anniversary of the opening of Jannah Eastern Mangroves Suites located in Abu Dhabi and the occasion was celebrated with a blowout party attended by Mr. Nehme Imad Darwiche, CEO of Jannah Hotels and Resorts along with the top media and business persons of the UAE. “We today celebrate the third year of launching this hotel which is one of the most luxurious resorts in Abu Dhabi. I would like to thank the hotel’s team for making it a success,” said Mr Nehme Imad Darwiche, Jannah’s CEO. The unique location that faces the scenic Eastern Mangroves serves as the ideal property for a luxury resort. The combination of the unparalleled mangroves experience with the best hospitality services has made Jannah Eastern Mangroves Suites, a favourite among the people of the UAE. Mr Darwiche said multiple projects are also in the pipeline stage, including properties in Ras Al Khaimah and Abu Dhabi adding that it would be inaugurated soon. Jannah Eastern Mangroves Suites opened in 2013 and features 88 luxury serviced apartments in Abu Dhabi with an outdoor promenade offering international dining brands and entertainment facilities. Nestled in the protected area along the Eastern Mangrove coast, the apartment-style suites afford style and luxury to travellers and residents alike. The elegant and stylish development offers easy access to Abu Dhabi International Airport as well as easy accessibility to Abu Dhabi’s beautiful sights you should not miss. Jannah Hotels and Resorts, founded on the spirit of the noble Bedouin hospitality and pioneered with an infrastructure that is innovative, creative and dynamic. Jannah Hotels and Resorts has blossomed into the hotel management company of choice, offering leading proprietary technology and evolutionary programs. In two years the company opened five properties: Jannah Eastern Mangroves Suites (Abu Dhabi), Jannah Burj Al Sarab (Abu Dhabi), Jannah Marina Bay Suites (Dubai), Jannah Place Abu Dhabi, JannahPlace Dubai Marina.